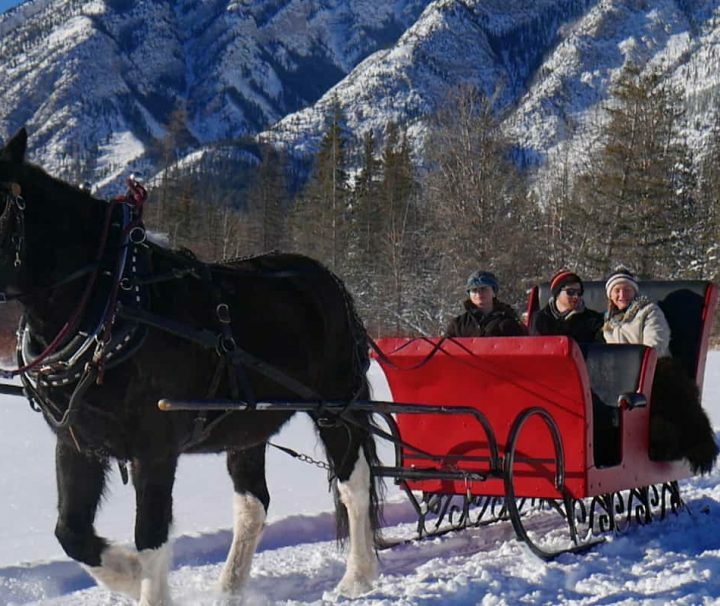 Banff Sleigh Rides, a true Banff classic. 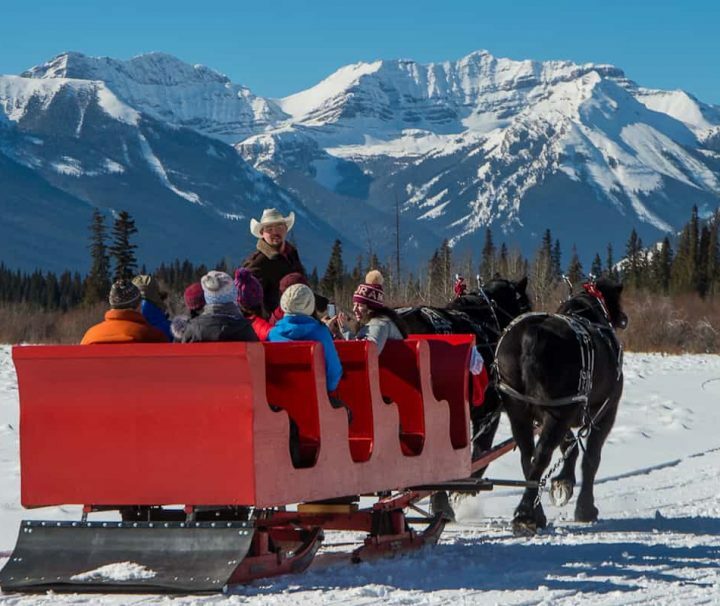 There’s nothing quite like gliding over sparkling snow in a horse-drawn sleigh — especially when you’re surrounded by some of the most gorgeous mountains in the world.Once you’re snuggled under wool blankets, our cowboy guide cracks the reins and your journey through the Canadian Rockies begins. You’ll travel into the Bow River Valley where soaring pines stand in the shadow of sky-piercing peaks. And in this wilderness, the only sounds that disturb the silence are the clomping of hooves and the jingle of your horses’ harness. It all makes for great ambience, whether you’re snuggling up with someone special or packing the whole family in for a ride. Our horses are super friendly. Feel free to give them a pat or a good scratch on the cheek!